Apologies for the lack of posts this week, but I have been flat out with BIG SCREEN coverage as it was rather damn awesome and it looks like studios have been holding out and are now releasing all the good stuff in one go for summer. Before I dig into this week's mail. I just want to recommend The Guard it is a thing of beauty, go see it as soon as possible if you enjoy sharp, adult, crime comedy/dramas. To compare it to other great unconventional cop buddy films would do this inherently Irish gem a disservice but if you think; 48Hours, Lethal Weapon or Die Hard 4 (the one with Bruce Willis and Samuel L Jackson) set in rural Ireland you'll be some of the way to how brilliant The Guard is. A semi-full review and some video of Director John Michael McDonagh who is a real character entertaining audiences with his frank and witty discussion on making The Guard will be up soon. It is my film of the week and has gone straight into my 10 films of the year. I saw Fright Night awhile back but I'm not sure of the state of the very strict embargo on Fright Night as it premiered at BIG SCREEN and I have seen reviews bleeding onto the net. 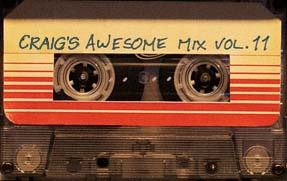 My review should be up on the mighty http://www.liveforfilms.com/ soon. And in case you are wondering if it is worth seeing you wouldn't be reading this if it wasn't. I was luck enough to catch You Instead I absolutely loved it. You Instead has all the elements of a great British romance, whilst not only capturing - the festival experience it also taps into the zeitgeist of the nation and the here and the now. My full review will be up soon. Other than The Guard my other big surprise this week was a film starring Jesse Eisenberg, Danny McBride and Aziz Ansari. Currently I'm unsure of the status of an embargo on reviews so out of respect I won't mention its name. But I love, love, loved this film. Can Jesse Eisenberg do no wrong? It also totally changed my perception of Danny McBride and I may have to re-watch Your Highness again in light of this. The film whose title I won't mention has to be the most fun film of the year so far. I also got to go the premiere of Conan The Barbarian at BIG SCREEN, which is probably the best Sword & Sorcery epic we have had in years. I have seen some negative stuff said about Conan, but if you are a fan of the genre - Jason Momao's Conan The Barbarian is on the money. Just park your expectations of Inception set in the Bronze Age at the door Conan The Barbarian is a lean, mean, dirty fighting barbarian who will single mind-idly slash, gouge, kick and smash his way to revenge. A couple were sitting next to me, clearly on a date and the guy was writhing in his seat, and spasming every time a bone was crunched or blood flew out the screen. So the whole row was jerking around for pretty much the entire 112 minutes. So if you are of faint temperament don't got to Conan The Barbarian on a first date. I'm also going to throw Final Destination 5 into the mix. I'm not a fan of the series of films, but can appreciate the ingenuity and shock and awe factor in the formula. I am however a big fan of 3D and the Final Destination series is probably the perfect film material for fun 3D. From the astounding almost art house 3D title sequence to the clever ending. I was having fun. A bit of a lie as I received Submarine in the mail a couple of weeks ago but haven't had enough time to do this wonderful tale justice with a proper review. Drawing on 60s and 70s inspiration, mash it with the academic over achievment of the films of Wes Anderson, add engaging characters with some spellbinding camera work all to a well thought out soundtrack and you'll have Richard Ayoade's quite masterpiece of youth in Britain. Full review up soon but in the meantime Richard Ayoade's fantastic Submarine is available on both DVD and Blu-ray. A kidnapper takes two lonely souls and tries to make them fall in love by putting them through a series of unique situations. A three-year passion project from Kenton Bartlett a 21 year old Director. Starring Mark Boone Junior and Melora Walters. Missing Pieces was made by 588 people working for free. It has been critically well received and is currently looking for distribution. The director and composer collaborated for nearly two years and completed the entire score without ever communicating vocally or face to face. All correspondence was e-mail-based before meeting for the first time just days before the live orchestration of the score. 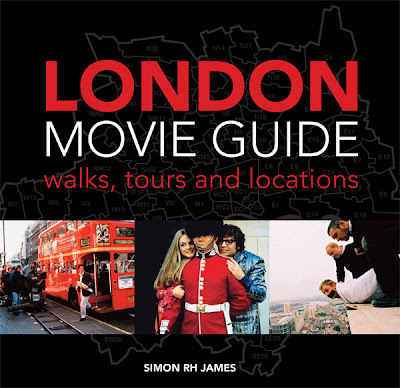 London Movie Guide: Walks, Tours and Locations is a book by Simon RH James, published by Batsford, and that it is has just been released. I have the first edition in my collection and have to say it is an invaluable resource. It looks like the second version has been upgraded with an idea I have been toying with, which is plotting routes for people to visit film location. I haven't actually seen London Movie Guide: Walks, Tours and Locations as I have been to busy to finalise details but I should have a review copy in my hands soon and will have a review up in some shape or form soon. The publishers have been kind enough to allow us to offer a brand spanking new copy of London Movie Guide: Walks, Tours and Locations as a competition prize on The Establishing Shot. So if you are interested in visiting any of London's many memorable film locations, around 950 are covered in London Movie Guide: Walks, Tours and Locations - keep an eye out for this competition. These range from a tour of Notting Hill, passing by key locations from Notting Hill (1999), Alfie (1966), The Italian Job (1969), then passing the mews that is home to Keira Knightley in Love Actually (2003), visiting the Mother Black Cap pub featured in Withnail & I (1987), and continuing on to St Stephen’s Crescent, where Hugh Grant asks Nicholas Hoult to be his son in About A Boy (2002). 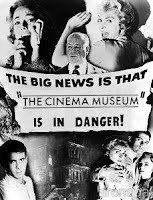 Ideal for its comprehensiveness, this guide offers details on films, from obscure TV spin-offs like The Man About The House, to cult classics like An American Werewolf in London, whilst including all the Hollywood fare that we have become accustomed to. Hot on the heels of the impossibly wonderful Detective Dee: Mystery of the Phantom Flame comes Shaolin. 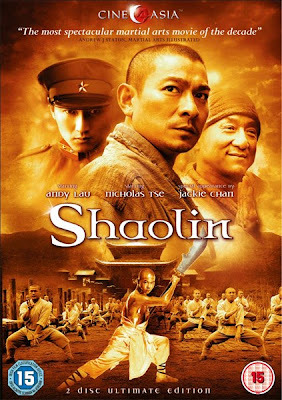 Currently I don't know enough about Shaolin - other than it is EPIC as can be seen in the trailer below and that it is directed by long time Jackie Chan collaborator Benny Chan and stars Asian superstars Andy Lau, Nicholas Tse and Jackie Chan! A review should be up soon. China is plunged into strife as feuding warlords try to expand their power by warring over neighboring lands. Fuelled by his success on the battlefield, young and arrogant Hao Jie sneers at Shaolin's masters after killing a rival warlord on their temple grounds. But the glory comes before a fall. His own family is wiped out in an unexpected turn of events and Hao is forced to take refuge with the monks. As the civil unrest spreads and the people suffer, Hao and the Shaolin masters are forced to take a fiery stand against the evil warlords. They launch a daring plan of rescue and escape.